Got a call on one of these Kenmore-by-Bosch dishwashers. These are made by Bosch but sold under the Kenwhore label. 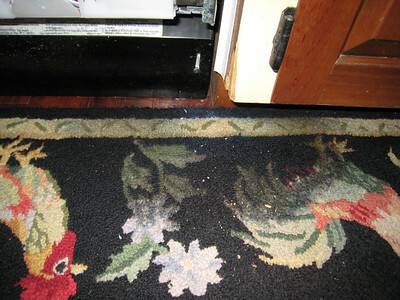 Complaint was that it leaked a bit on the right hand side during each wash staining the rug in the kitchen. Only thing on the dishwasher itself that looked weird was the top seal. …and running down the inside edge of the door. What do you conclude is the problem and how do you arrive at your conclusion? So I checked out and eliminated the other potential causes of door leaking: gookus or splits in the spray arms, deflected spray from incorrectly loading the dishwasher, loose door latch, overfill condition. 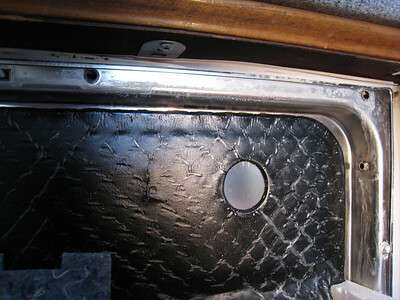 The only thing left was the puckered top door gasket. Even though I didn’t have eyeball positive proof (cataphatic proof) that water was leaking past that seal, I did have apophatic proof and the assurance of Occam’s Razor. 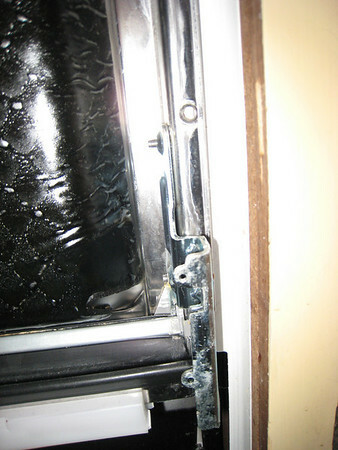 So I ordered a new top door seal and replaced it. Problem solved! 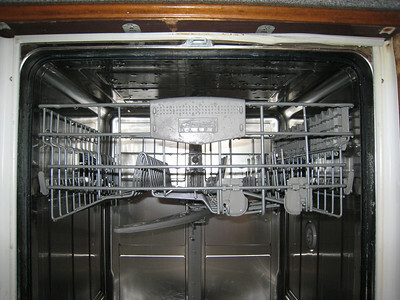 This entry was posted in Dishwasher Repair on March 12, 2009 by Samurai Appliance Repair Man.